Would you like us to contact you to schedule your FREE 15-minute CoolSculpting consultation? Yes - please call me! CoolSculpting is the world's #1 non-invasive fat reduction procedure. It's been performed millions of times worldwide, and is 100% FDA-cleared, safe, and effective. There are no needles, and no downtime, but the best part is that the fat cells we treat are GONE FOR GOOD - permanently! Bye Bye Fat! *By providing your email address, you consent to receiving your coupon and any other CoolSculpting related promotional material via email. You may unsubscribe at anytime. Coupon must be redeemed within 30 days. HURRY! Only 6 of 30 coupons remaining! 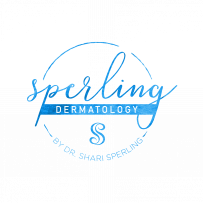 Dr. Sperling is a board certified Dermatologist, and has been practicing for over 7 years! We are the only provider in NJ with 4 machines (in each location!) - meaning we can treat up to 4 areas at once! We're proud to offer 2 locations - Florham Park and Montclair - to serve all your CoolSculpting needs! We have over 500 FIVE STAR patient reviews in just the last year!